Unlike as in the case of the Imperial Russian postal system the Republic of Latvia did not have a separate Railway Postal Administration. Subsequently all railway postmarks refer to Travelling Post Offices - TPO's - in Latvian: PASTA VAGONS (postal wagon), but in the early years: PASTA WAHGIS, and not to the post offices at the railway stations. 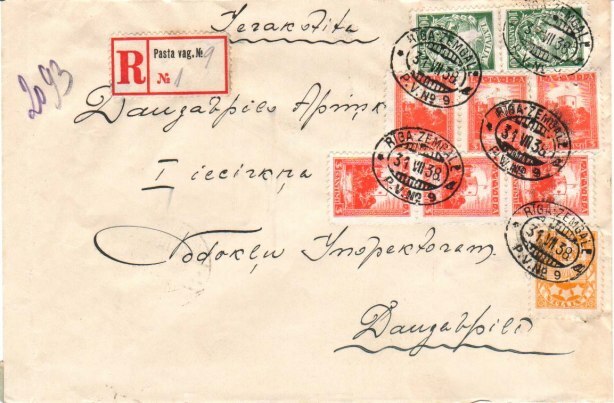 When the Postal Administration of Latvia took over the Russian postal inventory - in a miserable condition - among former Russian postmarks there also were some oval railway station post office postmarks which were used in the early years. 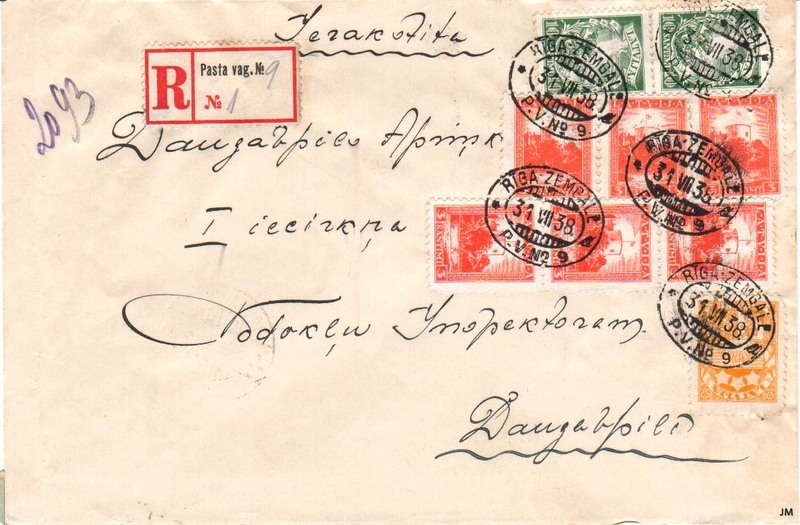 There were also former Russian Travelling Post office stamps, TPO stamps, used in the beginning. These had route numbers, naturally no longer complying with the railway network in Latvia. All these cancellations, used in 1919 and 1920 are to be considered as provisional cancellations.